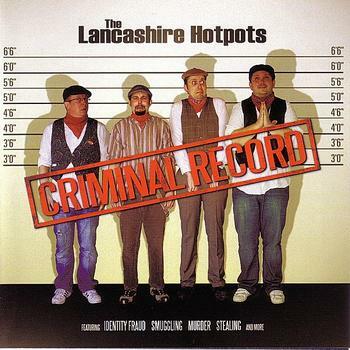 The Lancashire Hotpots return for 2010 with ‘Criminal Record’ an 8 track mini LP based on crime in the 21st Century; identity fraud, robbing next doors broadband and smuggling sweets into the cinema. And at this price? ITS A STEAL!